Good morning everyone! Here are a few of my favorite images from this past season. There are a few from other seasons just because they make my heart go pitter patter. Be well. Do good. Enjoy time with family and friends this Thanksgiving. Posted in camden windjammer cruises sailing vacations, maine windjammer photography cruises and tagged maine nature tours, photography cruises in maine, windjammer cruises in Maine on November 20, 2012 by Capt. Barry. 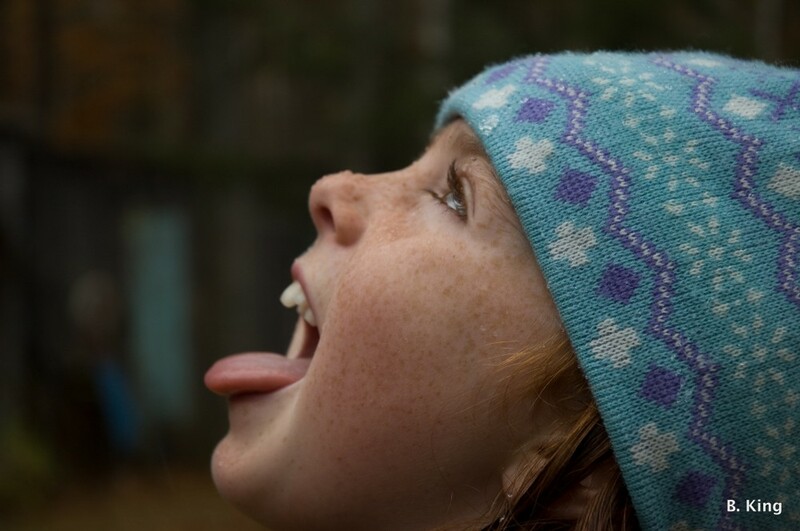 A child like sense of wonder brought on by the first snowfall. Good morning everyone. Yesterday morning the global headquarters received its first meaningful snowfall of the season. I was struck not only by the beauty of our winter wonderland but at how it instills a renewed sense of life into what could be just another day. Nadie, usually one to lie in bed for a few extra winks in the morning, was up like a shot. What normally requires a stick of dynamite was easily accomplished with a few snow flakes. 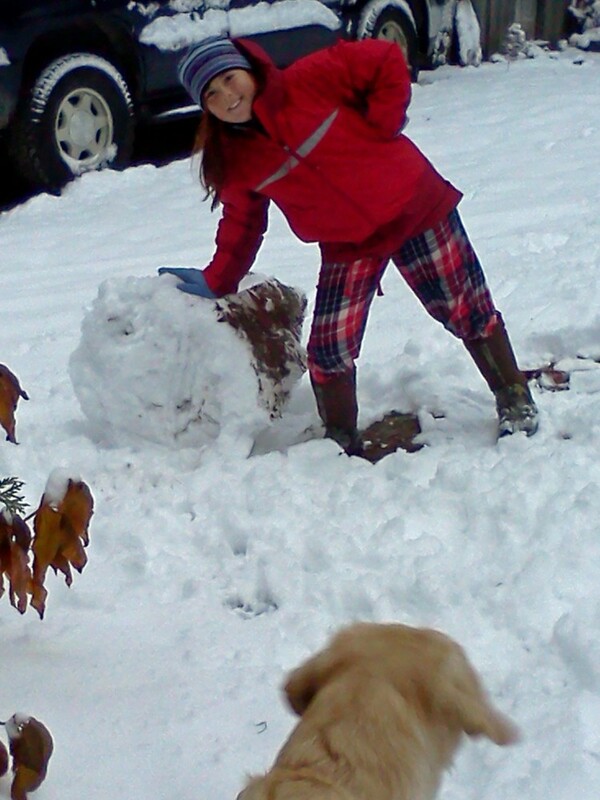 Nadie was quickly out the door in her pjs and sneakers to build a snowman in the dooryard. Such early morning industry from her is not typical. There could be several morals to this story but the one I draw is this. Why can’t we (she) wake up and greet everyday as if it were the first snowfall? What stops any of us from rising from our slumber with anything but a child-like sense of wonder? Can the force of one snow flake really be that much more powerful than a parent’s nudging? Once more, it all seems to be a function of mind over matter. Given the apparent energy boost, I for one will try to find that “first snowfall sense of wonder” in every morning. After a cup of coffee of course. Posted in camden windjammer cruises sailing vacations on November 9, 2012 by Capt. Barry.